Santa's Village, a tiny town of 16 holiday dwellings on the north side of City Hall (at 411 W Arapaho Rd) is a holiday tradition for families from Richardson and beyond. Each colorful building offers children a fun activity and even a visit with Santa Claus! Attendees can also enjoy live performances, holiday photo ops and warm up with a cup of hot chocolate or a snack. Information Hotline - Weather Update: 972-744-4301. Santa's Village is a free Holiday event open to the public. To improve the experience for Richardson Resident, certain days required proof of residency to attend. Stop by City Hall to pick up your Hometown Thursday tickets. The City of Richardson's Santa’s Village opened in 1989, and the Fischer family has been coming since day one. Find out what Santa’s Village means to three generations of the Fischers. From Santa’s Post Office to his house and workshop, there’s an entire village for families to explore and take part in holiday activities. Come and enjoy the talented musicians that volunteer each year and help make this holiday tradition that much more memorable. Santa’s Village has been a tradition for over 25 years in this community with generation after generation taking part each year. 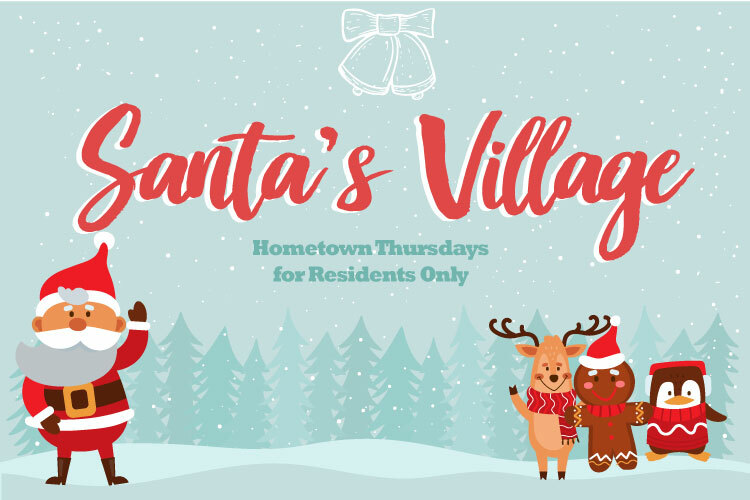 Santa's Village will once again come to life in December, to provide a great family experience for the thousands of people who flock to the tiny town. With everything from a post office to a health clinic and TV station, it takes a whole town of volunteers to keep Santa’s Village up and running each night. The City of Richardson strives to make sure that Santa's Village is an accessible event. Accommodation requests for persons with disabilities should be made at least 14 days in advanced of the festival by contacting Taylor Lough via phone at 972-744-4208, via email at ADACoordinator@cor.gov, or by appointment at 411 W. Arapaho Road, Richardson, TX 75080. Individuals needing to schedule assistance with DART Paratransit please contact DART directly at 214-515-7272.